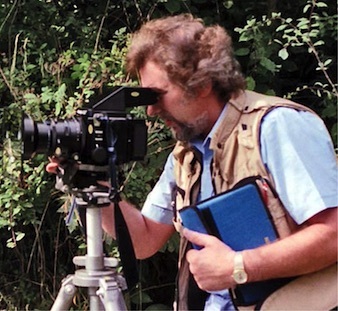 Roy studied Graphic Design and Photography at South West Essex Technical College and School of Art. influence still pervades Roy's photographic style. After leaving college Roy worked and studied with the Czech sculptor Franta Belsky and his wife Margaret, a noted political cartoonist and illustrator. Under their influence he was guided into advertising and magazine design then into newspaper journalism where Roy stayed for many years gaining much experience as a cartoonist, graphic designer, caption writer and photographer. He also worked with boxing promoter, Michael Barrett and produced some of his finest action boxing pictures. Later while researching a book project with his wife Linda into Norman Medieval history at the British Library, the idea was born to photograph all the English and Welsh castles from the time of King William I (Conqueror) to the late Medieval period.This photographic collection is the result of Roy's obsession with Medieval Castles, leading him to tramp over hills and dales and scramble up precipitous ruins in order to take the best possible picture.